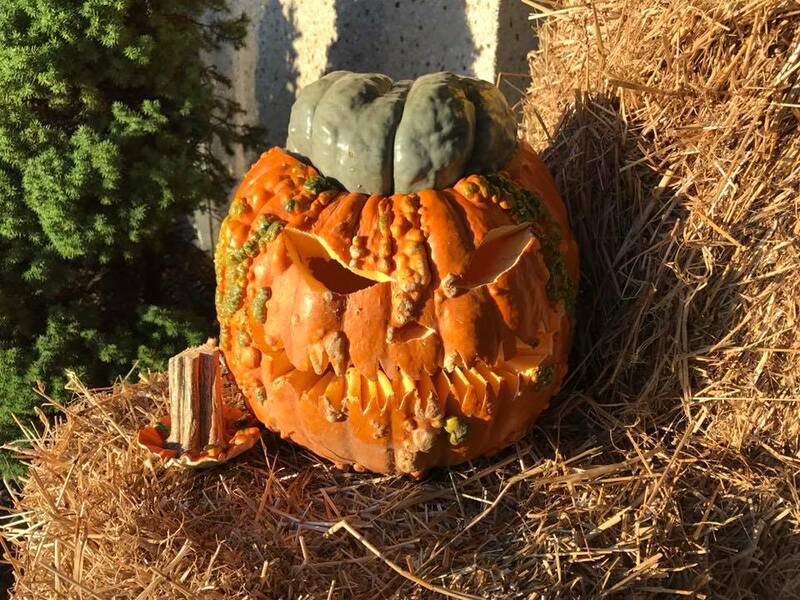 Pumpkin Contest! 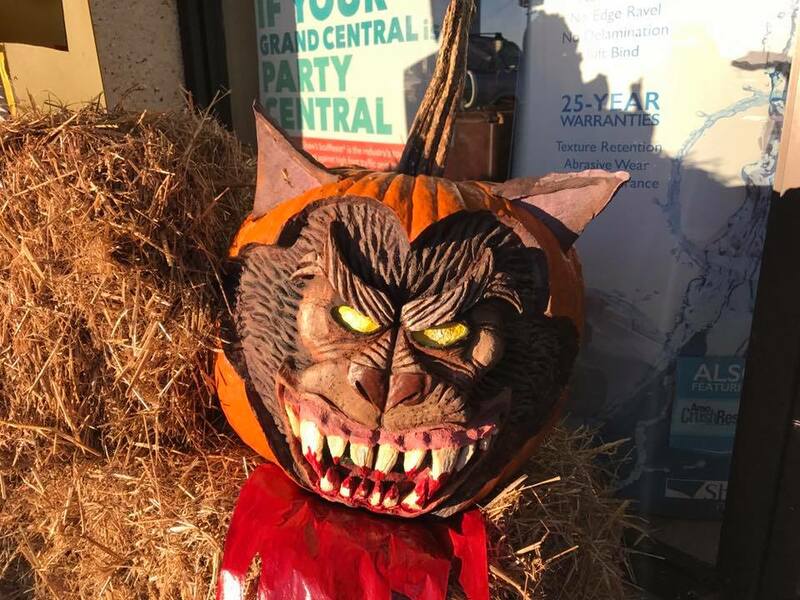 – Vote for your Favorite Halloween Pumpkin! 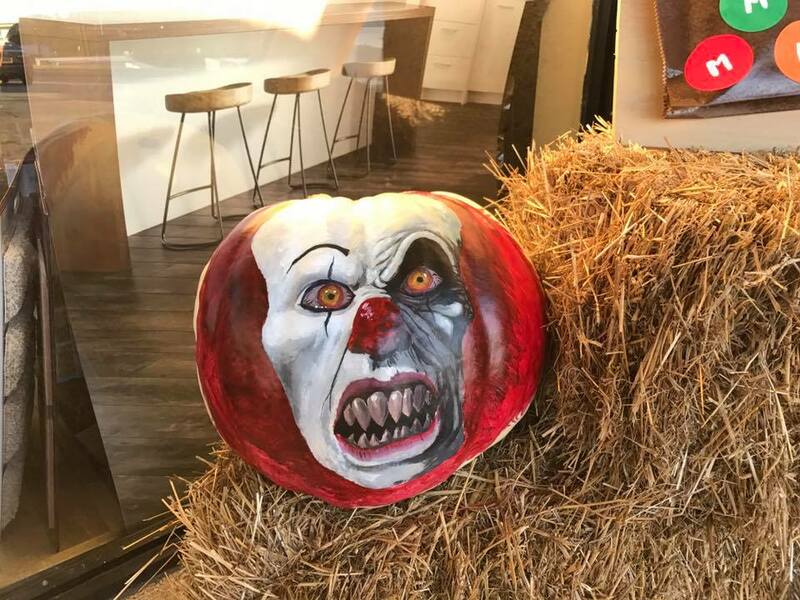 The talented employees of Carpet Express have created Halloween pumpkins for Halloween 2017. 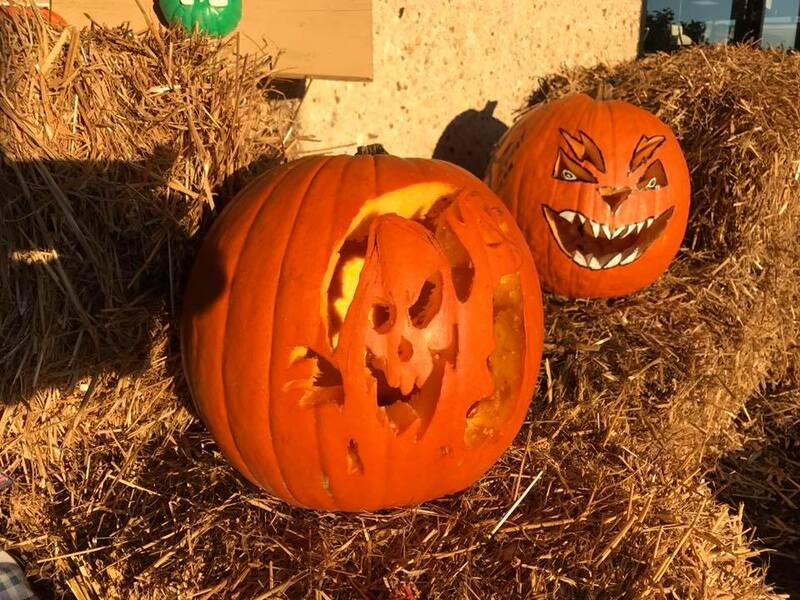 You can comment below on this blog or go to our Facebook page and vote in the picture comment section for which pumpkin you think is the best! 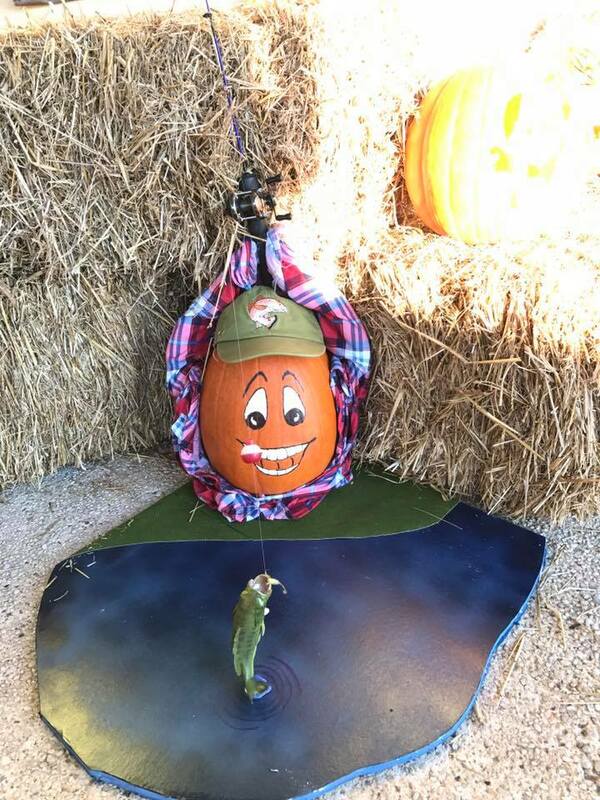 Click here to see the Pumpkin Contest album on Facebook. Recently, Carpet Express sponsored the Dancing Stars of Dalton, which was an event held by the Alzheimer’s Association. 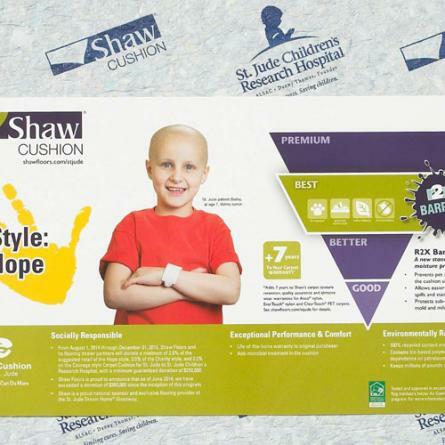 They were one of many sponsors, who helped with such a great cause. Dancing Stars of Dalton, which is a reinvention on the popular show “Dancing with the Stars,” was held at the North West GA Trade and Convention Center. Nine local celebrity dancers were paired with professional dancers, and the pairs raised funds for the Alzheimer’s Association by gaining votes. The dancing competition was a fun night, but the most important part was all of the funds raised will go to helping with Alzheimer’s care, support, and research. We are proud to have sponsored such a wonderful event and a great cause! Click here to learn more about the Alzheimer’s Association. 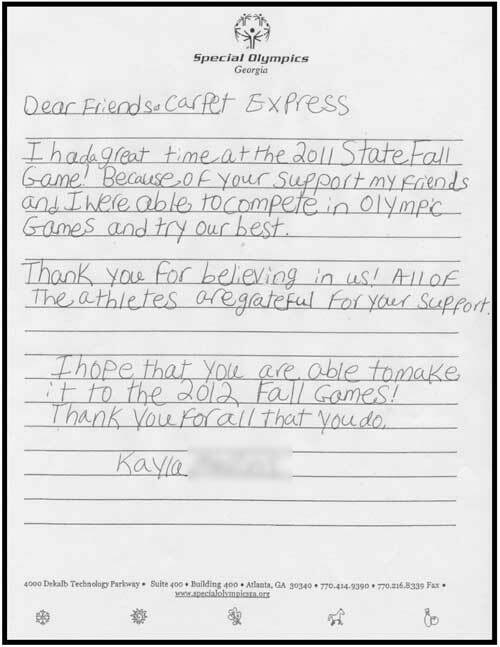 Carpet Express is proud to have had the opportunity to be one of the many sponsors for the 2011 Georgia Special Olympics Fall Games. We hope that you will consider supporting this very worth while event in your area. Our fall sale at Carpet Express was a tremendous success. Lots of customers and suppliers mixed business with pleasure as they joined us for Randy’s famous hot dogs and some fantastic deals. We served over 800 hot dogs with all the trimmings during this 3-day event. Good food and satisfied customers made this sale a fun time, despite all the rain. “CASH FOR CARPET” – we paid cash for your old carpet when you purchased new flooring and installation. 121 pages of vinyl inventory to choose from starting at $0.29 per square foot. Tremendous selection of hardwood flooring like Armstrong’s 5″ Northshore plank (tavern grade) at $1.59 per square foot. Great deals on residential and commercial carpet (cuts at roll prices from most mills). 15% off our already low priced area rugs. Plus an additional 10% off if you purchased hardwood flooring. Laminate flooring at $0.79 per square foot. Premium high-gloss laminate at $1.99 per square foot. Great deals on ceramic tile which can be installed by the best installer in Dalton, Ga.
Bostitch nail gun FREE with the purchase of a pallet of Bostitch staples. Installation deals from our FloorTek Installation company. It was a great week for Carpet Express and we hope each and every customer enjoyed their shopping experience. Great deals and expert customer service is what we are all about. 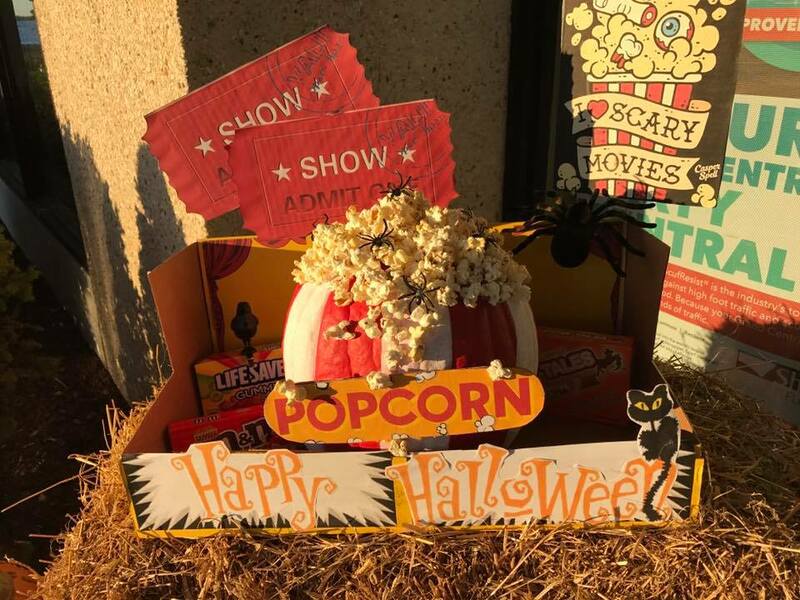 Thanks for another successful Fall Sale! 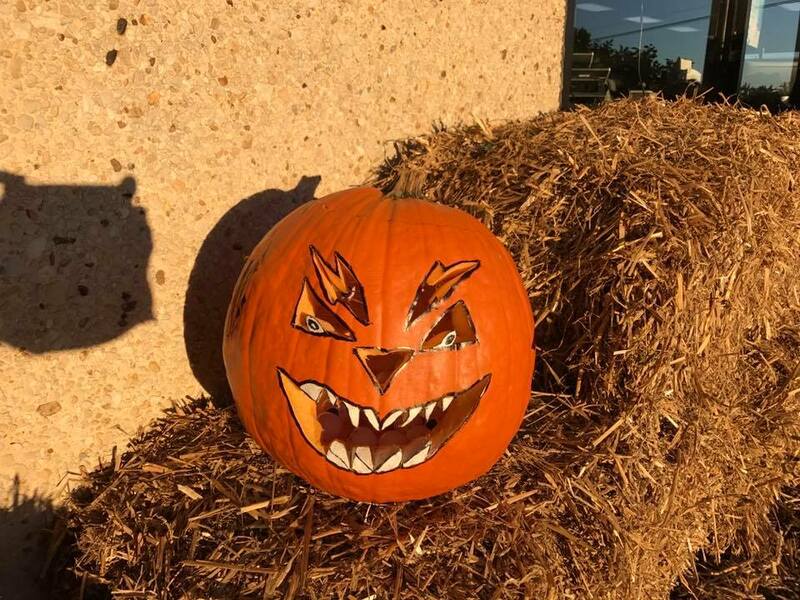 Heeeeerrrrre’ssssss Mike! – Besides a 35 year career in all phases of the floor covering industry, Mike is also an accomplished writer, producer, and actor. The TV commercials on the following page were filmed by Charter Communications, and aired over the last 6 years. A few of the commercials were controversial, most were humerous, but all were intended to promote the excellent prices, products, and service at Carpet Express. 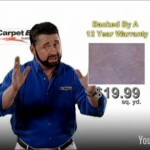 In no way did Mike or Carpet Express intend to offend anyone in producing these 30 second ads. I hope you will enjoy the show. 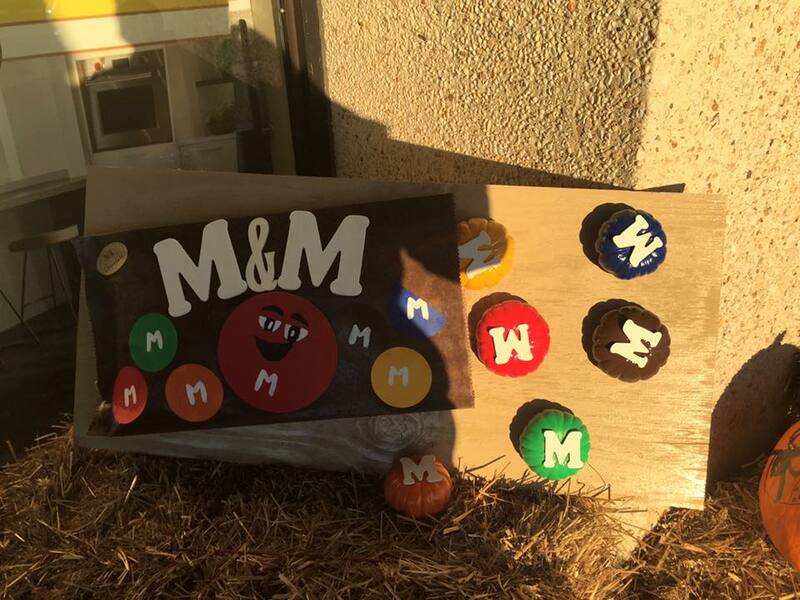 Our annual FALL SALE was a tremendous success. We surpassed Mike’s original goal, and also beat his new, higher shoot-for-the-stars goal. This was accomplished through a lot of hard work, and a lot of loyal, repeat customers. Our buying power and relationship with the major flooring manufacturers in this country, as well as importers, continue to pay dividends. More and more retailers, wholesalers, and foreign importers are looking to Carpet Express as a major source for their floor covering needs. While this wholesale business is good, our main focus is still to service the individual retail-type account, and do it with everyday low prices and great service. We know that when one person brags about Carpet Express that a chain reaction can occur within that person’s family and friends. We call this turning a $500 order into a $10,000 sale. And it works. It is amazing what low prices and great service can do to increase sales. Our Fall Sale is over now, but great prices continue at Carpet Express. We know times are tough and getting the best deal is very important. At Carpet Express, you’ll not only get that great deal, but you’ll also get our experience and advice to help you choose the floor that’s right for you. Welcome to the Carpet Express blog! We should be discussing new products and innovations in the flooring industry quite regularly, so be sure to bookmark this blog. We’re sure you’ll find new and interesting facts everytime you come back!